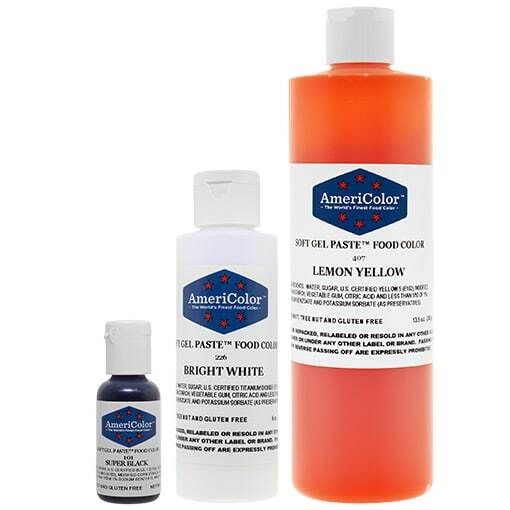 Soft Gel Paste – AmeriColor Corp.
AmeriColor® Soft Gel Paste™ is the first choice of top decorators worldwide. With more than 50 colors to chose from, AmeriColor® has the perfect color for your project, with deep, vivid colors that have no aftertaste! Need to get the same shade every time you decorate? AmeriColor® squeeze bottles with flip-top caps allow you to precisely measure your color drop by drop, giving you the same results every time. AmeriColor® — the world’s finest food color since 1995.